It’s time for the DNC to wake up and realize that the so-called “progressives” of the Bernie Sanders group are neither progressive nor interested in really supporting any platform that doesn’t pass their “Bernie Purity test”. 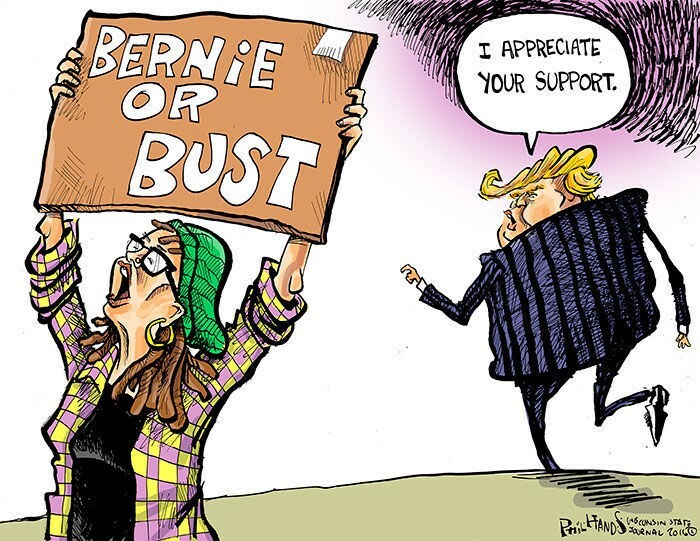 The Berniebots and crats have already demonstrated how they feel as well as Sanders’ position during the “Unity Tour”. 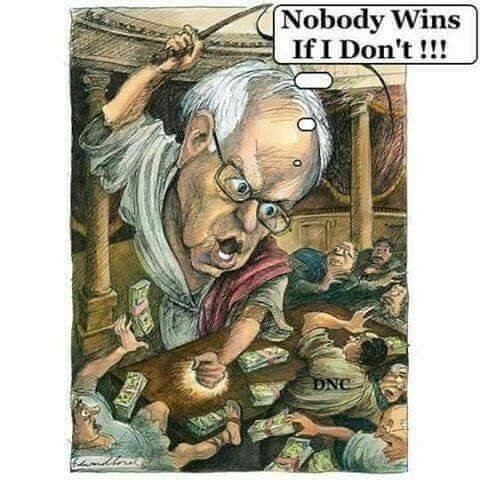 What was originally designed as an olive branch to try to invite the Sanders supporters to the table, ended in a fiasco, with Bernie ranting against the Democratic Party and his followers screaming their demands. “The June, 2017 meeting in Chicago of the second Bernie Sanders ‘People’s Summit’ contained the usual amount of accusations of “Bernie would have won” and conspiracy theories that the extreme left is known for. But the temperature in this meeting had a different tone. Instead of just blind and unwavering support for Sanders, the 4,000 attendees began making plans to take over the Democratic Party. “A major national progressive group on Thursday denounced Ralph Northam, the Democratic gubernatorial candidate in Virginia, as ‘gutless’ and ‘racist’ for his remarks on immigration ― plunging Democrats into a bitter internecine squabble ahead of statewide elections on Tuesday. In a Wednesday interview with Norfolk, Virginia, TV news channel WAVY, Northam said he would sign a bill banning so-called ‘sanctuary cities,’ or municipalities that limit their cooperation with federal immigration authorities, should any Virginia locality pursue that status in the future. Northam’s opponent, Republican Ed Gillespie, has run a series of misleading ads attacking Northam for a vote as lieutenant governor blocking a bill that would have preemptively banned municipalities from adopting these limits ― though Gillespie himself has acknowledged that no sanctuary cities exist in Virginia as of yet. The article continued with: “But DFA’s decision to blast Northam days ahead of the election nonetheless reflects the challenge the moderate lieutenant governor faces in shoring up his base ― and previews the intraparty sniping that is likely to take place if Northam loses. Consider the “Our Revolution” email below that was sent out to all of his supporters on November 6, 2017, prior to the all-important Virginia election of Governor. PAY ATTENTION to the fact that they are using the MIS-Information of Donna Brazile’s book, which she already backtracked and denied any “rigging” of the Presidential election in Hillary’s favor. Additionally, their intent is to encourage people of color, and yet the Bernie supporters have largely had a demographic of young whites and some older whites. It’s well-known that Sanders has had mostly white people in his administration for the last forty years and people of color simply don’t trust him. In addition, the Sanders group is trying to push the idea that Democrats support such conservative extremists as the Koch Bros., which is complete and utter nonsense. This email is another form of “brainwashing” and is an attempt to validate the beliefs of his cult following. The email touches on all of the hot-points that have kept the extreme Tea Party left riled up. “If you have an election in your state tomorrow please do take some time today or tomorrow to volunteer. But most importantly, make sure you have a plan to get to the polls and vote for the Democratic ticket. Every vote counts. Politics is not a baseball game, and it is not a soap opera. People are hurting in this country, and our job is not to be distracted by political gossip and Donald Trump’s tweets. Our job is to revitalize American democracy and bring millions of people into the political process who today do not vote and who do not believe that government is relevant to their lives. Our job is to create an economy and government that works for all of us, not just the 1 percent and wealthy campaign contributors. Here’s the problem: the strategy the Democratic Party has been pursuing in recent years has failed. Since 2009, Democrats have lost more than 1,000 seats in state legislatures across the country. Republicans now control the White House, 34 out of 50 governorships as well as the U.S. House of Representatives and the U.S. Senate. In dozens of states, the Democratic Party is virtually non-existent. Too much is at stake for our country and our people for us not to learn from our past failures and move forward in a way that makes the Democratic Party stronger so we can take on and beat Trump and the right-wing Republican agenda. What the recently released book excerpt from former interim DNC Chair Donna Brazile made clear is that unless we get our act together, we are not going to be effective in either taking on Donald Trump or in stopping the extremist right-wing Republican agenda. We have to re-establish faith with the American people that in fact we can make positive changes in this country through a fair and transparent political process that reflects the will of voters across this country. In order to do that, we need to rethink and rebuild the Democratic Party. We need a Democratic Party that opens its doors to new people, new energy and new ideas. We need a Democratic Party that is truly a grassroots party, where decisions are made from the bottom up, not from the top down. We need a Democratic Party which becomes the political home of the working people and young people of this country, black and white, Latino and Asian and Native American … all Americans. And we need to make it abundantly clear that the Democratic Party is prepared to take on the ideology of the Koch brothers and the billionaire class — a small group of people who are undermining American democracy and moving this country into an oligarchic form of society. YES. We will take on the greed, recklessness and illegal behavior of Wall Street, corporate America, the insurance industry, the drug companies, and the fossil fuel industry. Now, what the Establishment (political, economic and media) wants us to believe is that real and fundamental changes in our society are impossible. No. We cannot guarantee health care to all as a right. No. We cannot revitalize the trade union movement, raise the minimum wage to a living wage of $15 an hour and provide pay equity for women. No. We cannot effectively compete in the global economy by making public colleges and universities tuition-free. No. We cannot lead the world in combatting climate change and transforming our energy system away from fossil fuels. No. We cannot reform our broken criminal justice system or finally achieve comprehensive immigration reform. They want us to think that in the wealthiest country in the history of the world, a nation which has more income and wealth inequality than almost any nation on earth, the best that we can do is to accept tiny, incremental change. Right now, a Democratic National Committee Unity Reform Commission, comprised of people who supported our campaign, people who supported Secretary Clinton’s campaign, and people appointed by DNC Chair Tom Perez are working on a set of policies that will determine the future direction of the Democratic Party. In many ways, this Unity Commission will determine whether the Party goes forward in a dynamic and inclusive way, or whether it retains the failed status quo approach of recent years. It will determine whether the Party will have the grassroots energy to effectively take on Donald Trump, the Republican Party and their reactionary agenda or whether we remain in the minority. * Make the Democratic Party more democratic and the presidential contests more fair by dramatically reducing the number of superdelegates who participate in the nominating process. It is absurd that in the last presidential primary over 700 superdelegates (almost one-third of the delegates a candidate needed to win the nomination) had the power to ignore the will of the people who voted in the state primaries and caucuses. * Make primaries more open by ending the absurdity of closed primary systems with antiquated, arbitrary and discriminatory voter registration laws. Republicans are the ones who make it harder for people to vote, not Democrats. At a time when more and more people consider themselves to be Independents our job is to bring people into the Democratic Party process, not exclude them. It is incredibly undemocratic that in some states voters must declare their party affiliation up to six months before the primary election. * Make it easier for working people and students to participate in state caucuses. While there is much to be said for bringing people together face-to-face in a caucus to discuss why they support the candidate of their choice, not everybody is able to attend those caucuses at the time they are held. A process must be developed that gives everyone the right to cast a vote even if they are not physically able to attend a state caucus. * Make the DNC’s budget and decision-making processes more open and transparent. If we are going to build a Party that relies on working people who are willing to give $5, $10 and $27 donations, they deserve to know where that money is going and how those decisions are made. Please sign the petition calling on the Democratic National Committee and Chairman Tom Perez to accept, support and implement policies which make the Democratic Party more inclusive, more democratic and more transparent. Right now, our job is to come together, and not be distracted by the political gossip and drama of the moment. We must fight President Trump’s destructive efforts to divide us up by the color of our skin, our gender, our religion, our sexual orientation or our country of origin. We must rally the American people to oppose Trump’s proposal to provide massive tax giveaways to billionaires while taking away the health care that millions now have. But we must also make it clear — if we are going to elect Democrats who will move us forward as a country — that we must institute long-needed reforms in the Democratic Party. When we do that, we will not only create a dynamic and progressive party, we will be able to transform our nation and create a government that represents all of us, not just the people on top. 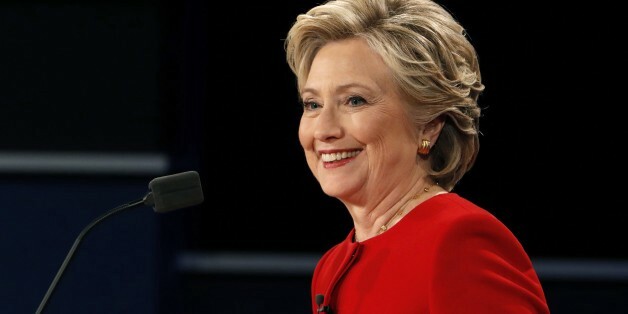 As we watch the unfolding of the Robert Mueller investigation against Trump and his cronies, we must also remember that Hillary Clinton made every attempt to warn us. Hillary chooses her rhetoric carefully, as she knows both the extreme right and left will often twist her words, but in this case she was very clear. Hillary is a Democrat, and while she embraces change, she and many Dems understand the importance of supporting the Democratic Party as we transition through change. She is well-aware of the consequences of those that make demands and then take vindictive actions when they don’t get their way. A Politico article entitled: Hillary’s Message To Dems: Don’t Give Bernie The Keys, accuses Hillary of opening the wounds between the Democratic Party and the extreme left, but what this author doesn’t seem to “get” is that those wounds didn’t heal and as was exemplified by the so-called “Unity Tour”, were simply getting worse. Hillary simply clarified what was going on. This last paragraph is very important, as it reflects exactly what Sanders and his extreme left group are doing. Members of the Democratic Party make up a diverse group and anyone that is walking in the door, making demands of “my way or the highway” is simply not welcome. ‘Prominent Democrats are increasingly riled by attacks from Bernie Sanders’ supporters, whose demands for ideological purity are hurting the party ahead of the 2018 midterms and 2020 presidential election, they say. But it’s not just the outside agitators that Democratic lawmakers, operatives and activists are annoyed with: They’re tired of what they see as the Vermont senator’s hesitance to confront his own backers, either in public or through back channels. Democrats are emailing and calling the DNC to express their disgust that they have not made a strong enough stand against the extreme Tea Party Left. This is also being reflected in the reduction in donations, with many Democrats choosing to donate directly to their local downticket party members. If the extreme left had expressed any interest in working together to achieve the many platforms ideas that we have in common, this entire conversation would be different. But instead, they have chosen one to two issues that drive their cause and they have already indicated that they are willing to throw such high priority topics as women’s issues under the bus to achieve their personal goals. This is NOT what the Democratic Party represents and the DNC needs to make this known in a strong and loud voice.